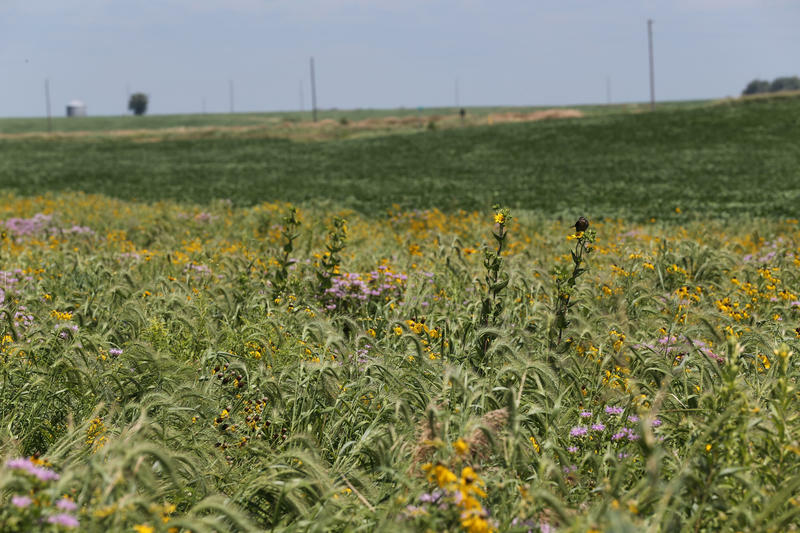 Southwest Iowa farmer Seth Watkins joined a study to see whether strips of prairie plants could help keep nutrients from running off farm fields. Some of the researchers' funding came from the Leopold Center for Sustainable Agriculture. Supporters of the Leopold Center for Sustainable Agriculture, based at Iowa State University, are making their case at the statehouse for reinstating the center’s funding. Many people in Iowa agriculture, and across the region, expressed shock when the legislature took away the funding for the Leopold Center last spring. The center’s existence remains, thanks to a veto from then-Gov. Terry Branstad, but the state funding that made up the bulk of its budget was zeroed out. 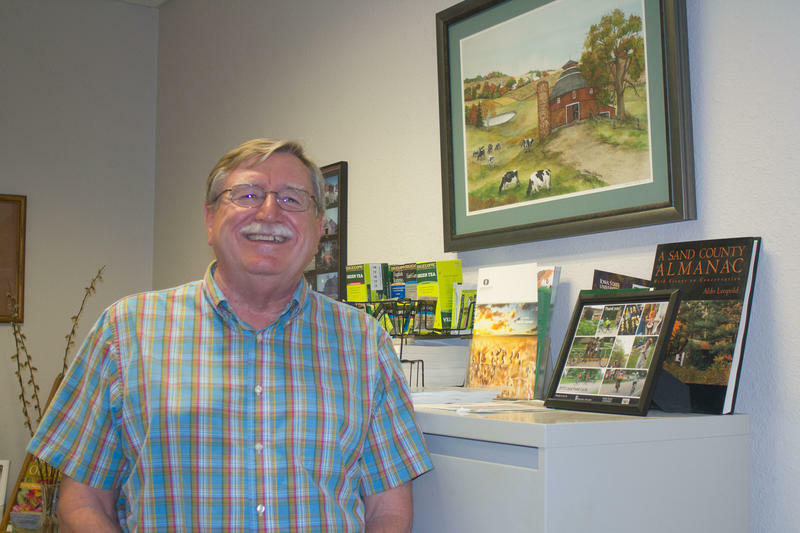 Dan Rosmann has seen the center’s investments reverberate throughout the southwest Iowa area where he farms and where he and his wife run a food hub for other area producers who want to sell in the Omaha and Des Moines markets. Rosmann says his operation has created five jobs and brought considerable money into a community with a dwindling population. In the aftermath of the legislature’s decision, the Leopold Center convened a “visioning task force” to collect feedback from around the state on the center’s work. Ann Robinson of the Iowa Environmental Council served on the committee and says the message was surprisingly consistent. Robinson says public funding for the Leopold Center’s work is a way to ensure independent research, even if that means asking tough questions and challenging the status quo. Two Democrats in the House, Beth Wessel-Kroeschell of Ames and Charles Isenhart of Dubuque, have introduced a bill to restore $1 million in state funding, provided the center matches that with money from other sources. ISU's Leopold Center Stays "Alive For Another Day"
Gov. Kim Reynolds today signed her first bill into law as the state’s chief executive, approving water quality legislation while surrounded in her formal office by supporters from inside and outside the legislature. Senate File 512 appropriates $282 million over the next 12 years to reduce nitrogen and phosphorus flowing into Iowa waterways. It’s designed to help the state meet the goals of its Nutrient Reduction Strategy to reduce nutrients in the water by 45 percent. Reynolds said good work is already being done on the farm. So-called “prairie strips” are patches of land strategically planted to native, perennial mixes of grasses and flowers on the edges of crop fields.